This friendly book challenges investors to think bigger and to think differently. 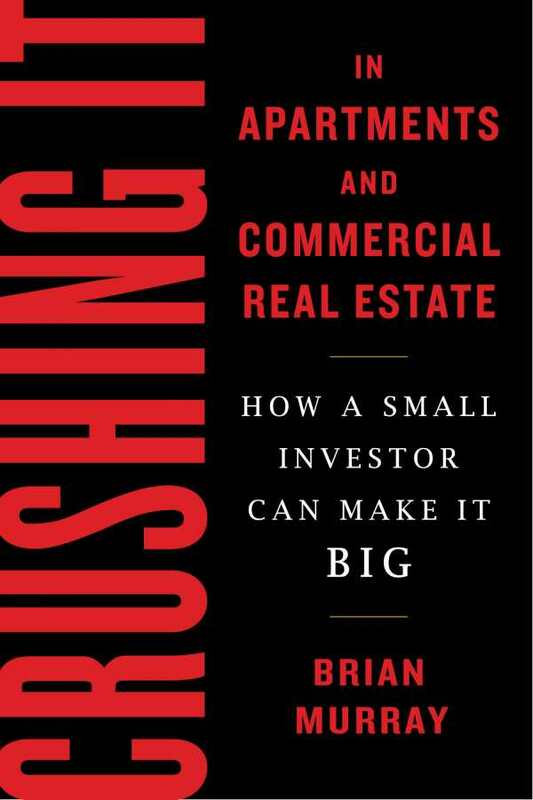 Brian Murray’s Crushing It in Apartments and Commercial Real Estate forwards practical advice, fed by firsthand experiences, for investing in real estate. The author’s career highlights are shared throughout this well-designed book, and Murray evinces a real knack for telling it plainly. Crushing It combines broad advice with a nuts-and-bolts exploration of real estate investing. Covered here are the practical pros and cons of looking at different types of buildings; strategies for buying, running, and selling properties; advice about loans and about creative but potentially more complicated funding, like grants. Discussions of costs and formulas help determine which investments might be worth it. Murray’s book will be useful at different levels of experience. For those just wading in to real estate and learning the basics, key points are reiterated at the end of each chapter. The text challenges its audience to think bigger and to think differently. It does this through creative, fun passages, such as one written from the point of view of an office building that is bummed out because beginning investors tend to consider smaller-unit apartment buildings rather than large buildings. Such inventive paragraphs effectively prove their points. Anecdotes effectively illustrate the experiences behind the book’s recommendations and insights, including one about red tape and bank loans, and one story that progresses throughout the book and recounts the dramatic saga of taking over the Solar Building, an arc that serves as a smart organizational element. Because Murray recounts failures as well as successes, he builds credibility and displays generosity, offering up lessons from both perspectives. Beyond the book’s rules, he gives examples, such as how a math equation can be brought to life with a story problem. Such illustrations are where the book shines. Pages are peppered with inspirational quotes from notables outside of the real estate world, ranging from Jim Carrey to Mother Teresa. While this motley collection lends diversity to the pages, they do come to seem more like filler than relevant additions. Some sources more closely related to investing are also quoted in the text, along with Murray’s helpful explanations of why he recommends these sources. An appendix of additional sources seems less centered. Murray has a welcoming, educational tone, and the work has an honest, reflective quality. The mistakes he names can be learned from, and his transparency makes his stories of success both exciting and inspiring. Murray’s knowledgeable, friendly book offers guidance for those who are learning to invest through the acquisition and rental of real estate properties.